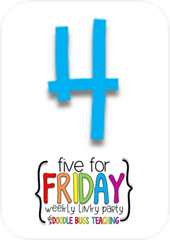 Friday!!! Yay! In what might be the longest week ever. So glad it is the weekend. 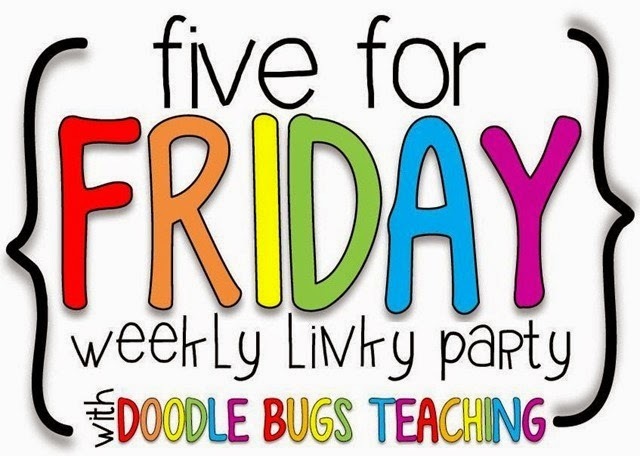 I'm excited to be linking up with Doodle Bugs Teaching for Five for Friday. 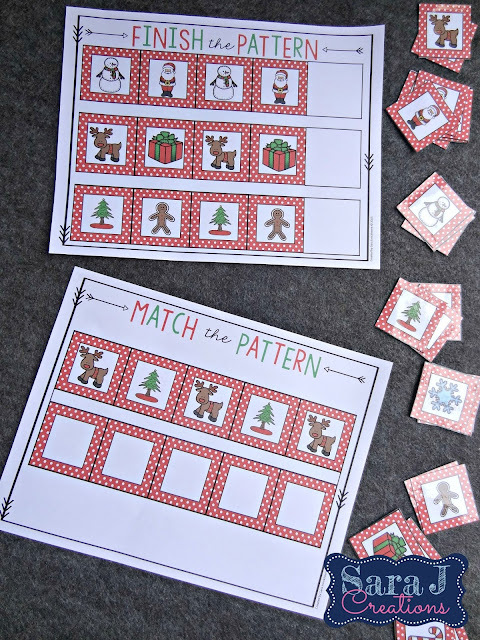 We are getting ready for Christmas around here. There is something about having kids that makes this season even more magical and exciting. 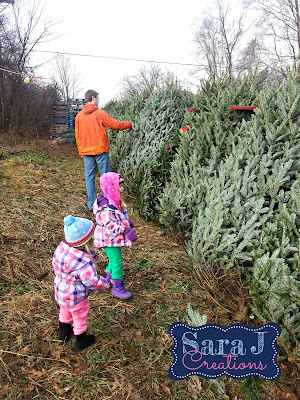 We never get our tree this early but the kids were asking and we were excited so we went last weekend and picked out not one, but two trees to put up. It took us all weekend to get them up as we did it in steps. Once the kids went to bed we worked on cranberry and popcorn strands and put the lights on the trees. 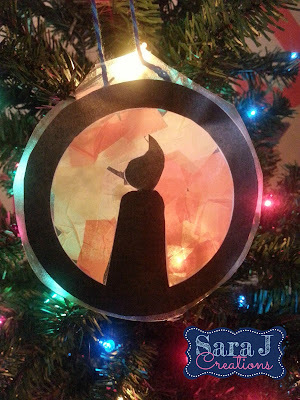 Then the next day, the girls helped us hang the ornaments. Or took them off. And put them on. And took them off. Over and over again. Meanwhile dropping hooks and ornaments on the floor. Ahh Christmas with toddlers!! 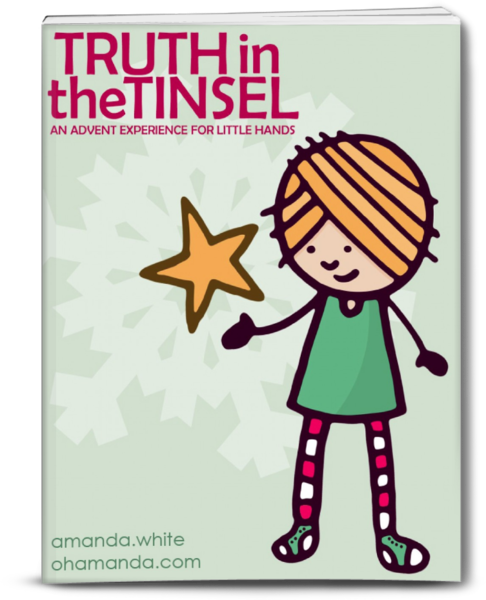 The girls and I have been loving Truth in the Tinsel. 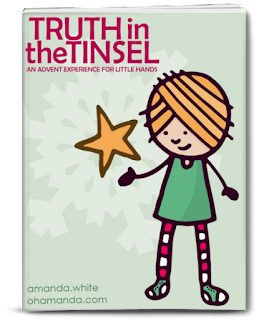 It is an e-book for advent and each day it has a Bible passage, easy craft ornament and questions/reflections to talk to your child about. 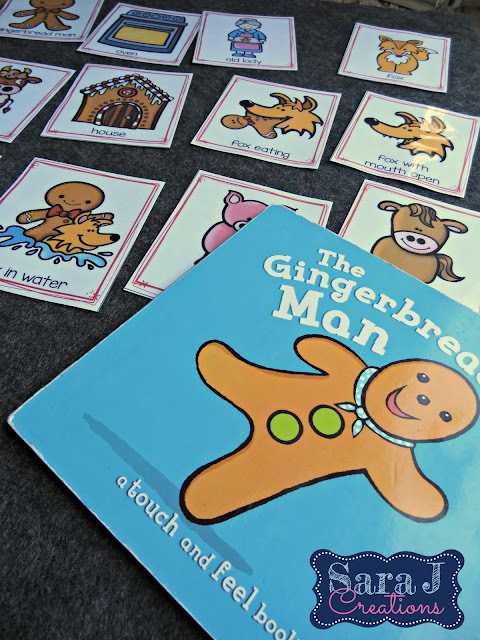 It is designed for younger children with the simplicity of the craft but the bible passages could be used with any age. Every day K asks me if it is time for her Bible craft yet. 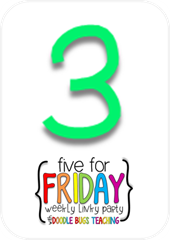 It is really simple and we are done in under 30 minutes every day - usually way less than that. I bought a little fake tree for the girls to put all of their ornaments on that they make. I love that we are talking about the real meaning of Christmas and on some level my 3 year old is starting to understand. 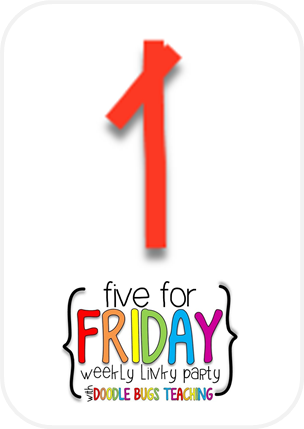 To save my sanity and make sure I actually did this daily, I prepped all the crafts ahead of time. 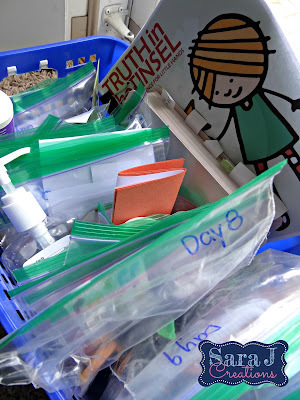 I put all of the supplies into bags and wrote the day on them. I also flagged all the Bible passages we would be reading so it would be easier to find each day. These two steps have saved me a ton of time and make it possible for it to be a quick activity each day. They were predicting a mild winter this year and so far in Michigan we are getting just that. Except for our 14 inches of snow a few weekends ago (that melted in a few days), it has been a pretty "warm" few weeks. Temps have been in the 40s and 50s and this weekend are going up to the 60s. That is pretty much unheard of in December in Michigan. We've been trying to get out and walk and take advantage of this weather and the snow free ground as much as possible. 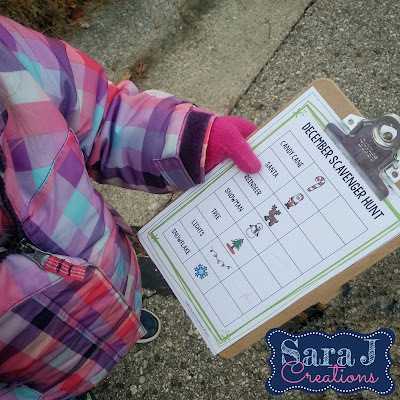 This week we headed out for a jammie walk and a Christmas scavenger hunt walk. My girls are all about the foam craft projects right now. We made a bunch for Halloween/fall and worked on some December ones this week. I LOVE the Creatology foam kits from Michaels because they are almost always on sale and they are sticky backed so you rarely need glue. The girls love creating with these. 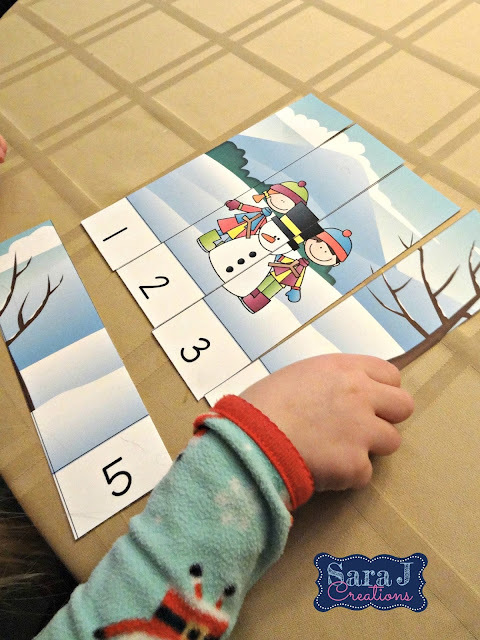 The kits take a little bit of adult help to assemble but it is an easy project that keeps us all happy. 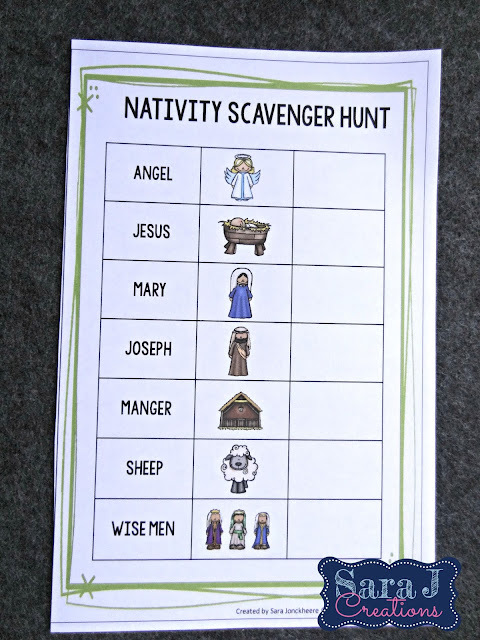 This week we made the Nativity scene one. I probably should go stock up on some more since they are probably trying to clear out their selection before Christmas. 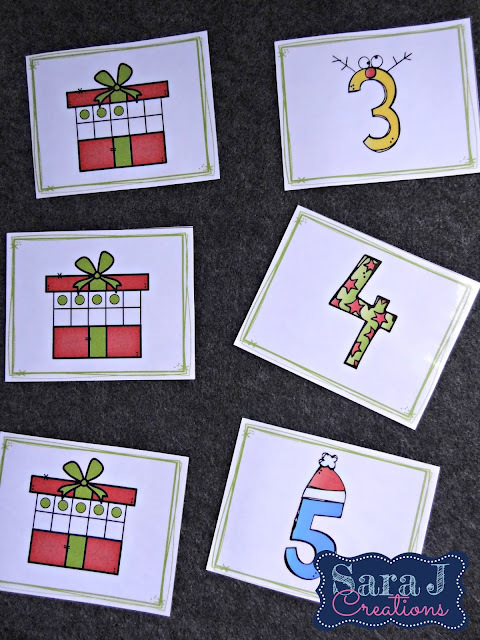 -Letter and Number Identification Sheets (E-I, 6-10) - for bingo markers, highlighters, etc. In all reality, I know we won't get to all of these activities in December because we also have our daily Advent activity, other activities that I've bought for the girls from TpT, plus our normal December craziness. Regardless, it is all ready to go when we need something structured to work on. 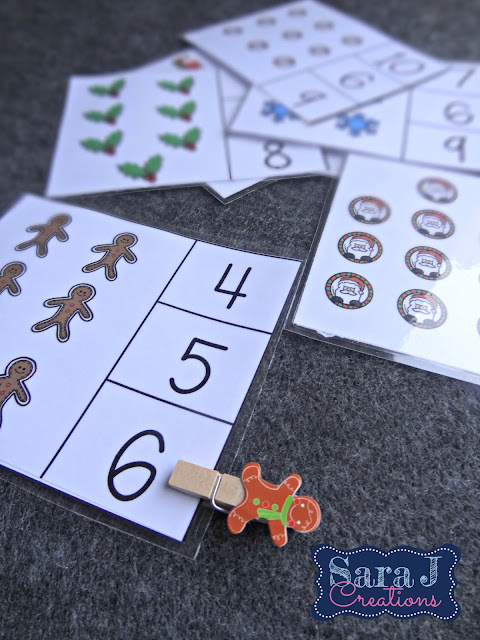 I pulled out the Spin and Cover games and made them a freebie in my TpT store. You can find them HERE. 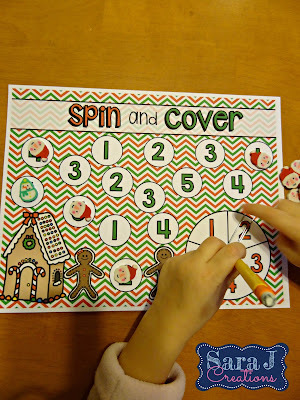 You just need a pencil and paperclip as a spinner and then something to cover the spaces (we used erasers from Target.) We played this two different ways. First, K just practiced her letter identification and covered the board herself. 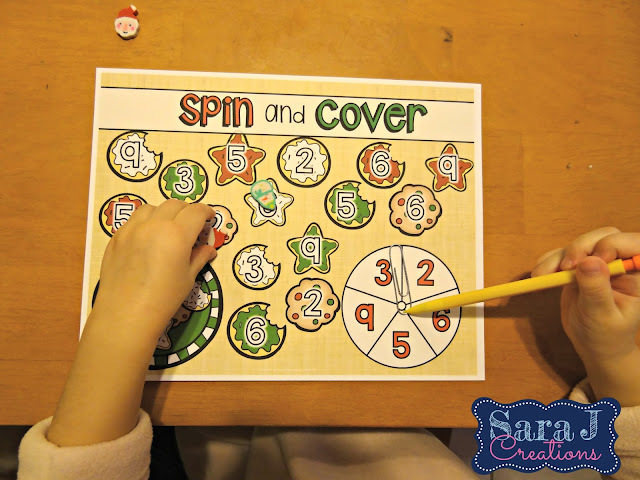 The next time we took turns spinning and covering the letters (or numbers) and putting our own eraser down. Then the last person to cover a letter wins. I wasn't sure how she would do with the spinner but she quickly figured it out and had no problems holding the pencil and spinning all by herself. That is our week in a nutshell. How was your week? Any big weekend plans? 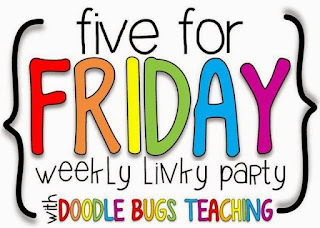 I think we are just going to have a relaxing weekend with lots of family time. We might try to check out some of the Christmas light events around us since it won't be freezing cold to walk around. Have a great weekend friends!